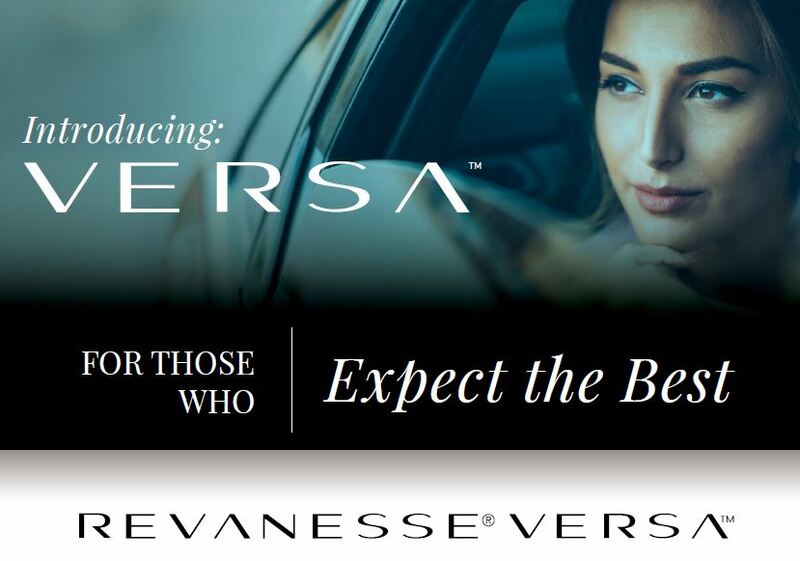 Revanesse Versa is here for those who are looking to take control of the signs of aging. Revanesse Versa is a multi-purpose dermal filler that leverages state of the art production methods, optimal ingredients and rigorous quality testing to provide remarkable results. Revanesse® is tried and tested, with over 1 million syringes used worldwide since 2002. Revanesse Versa is hyaluronic acid dermal filler. Hyaluronic acid is a naturally occurring substance that is found within the body. It may be produced by bacteria and puri ed for use as injectable soft tissue filler in order to correct the appearance of facial wrinkles and creases, (nasolabial folds). The product is approved for use in the U.S. by the Food and Drug Administration for the cosmetic treatment of facial wrinkles and creases. Revanesse Versa is an injection into the facial tissue to improve the appearance of facial wrinkles and creases, such as nasolabial folds. The injection results in a smoothing e etc. The product is intended for individuals 22 years of age or more seeking correction of their facial wrinkles and creases. If you have an adverse reaction, such as redness, pain, and swelling that persist for one week or more after treatment with Revanesse Versa, you should report this immediately to your provider. If you are under the age of 22 you should not be treated with Revanesse Versa. allergy to hyaluronic acid products, of allergens (desensitization therapy) during treatment with Revanesse Versa. You should never use Revanesse Versa in conjunction with a laser, intense pulsed light, chemical peeling or dermabrasion treatments, or with Over-the-counter (OTC) wrinkle products or prescription wrinkle treatments within 4 weeks (28 days) prior to treatment, as there is a possible risk of infection at the treatment site if these procedures are performed before treatment. Call Omni Medspa Today or send us an email for more information!